Imagine Joe Hisaishi’s piano combined with Sigur Rós’s crescendo and the images by Hayao Miyazaki running in the background. 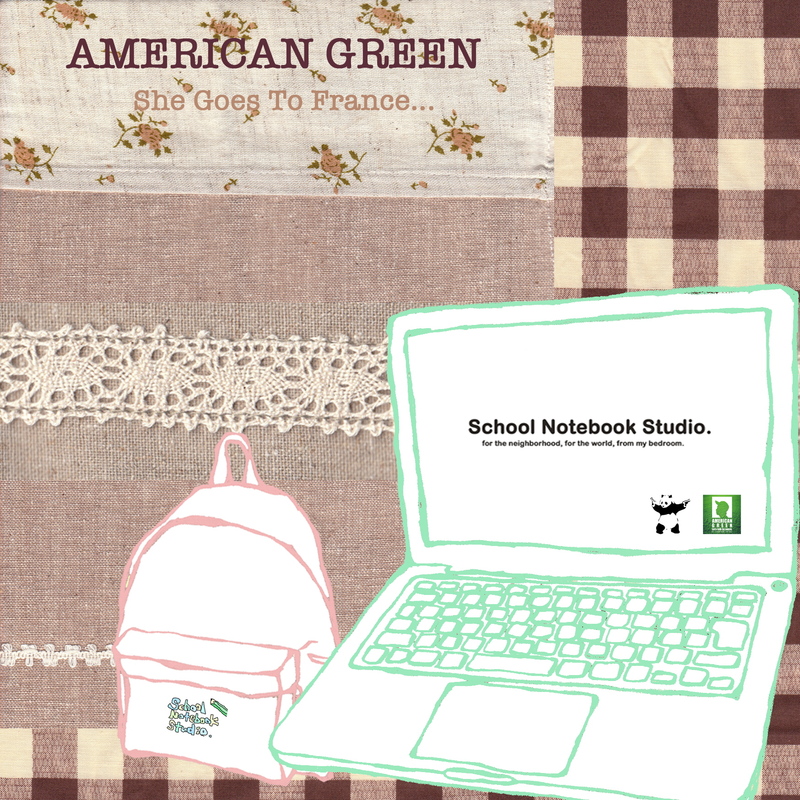 This is “She Goes To France…” by japanese solo project American Green, in exclusive for Bad Panda. 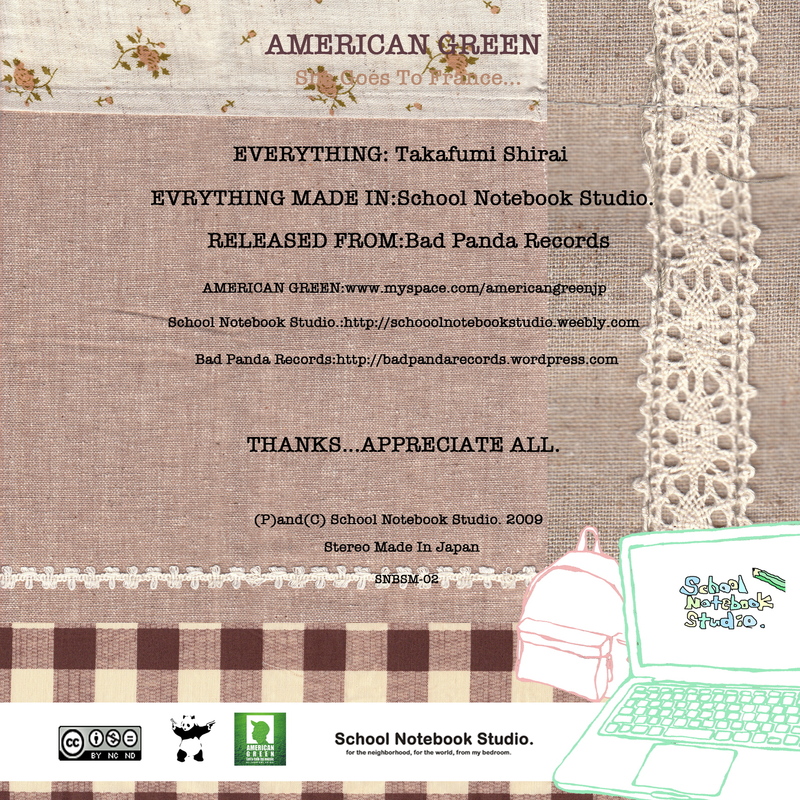 American Green is the indietronica/post-rock project of japanese musician Takafumi Shirai. All his music is written and recorded in School Notebook Studio – his own bedroom. 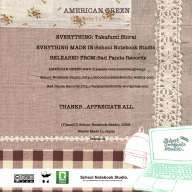 I am Takafumi Shirai at “AMERICAN GREEN”. I was born in Fukuoka Japan on March 1985. 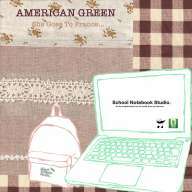 AMERICAN GREEN is one of my favorite colors. This is my solo project. I started composing music with DAW from 2007. I played as a drummer in a band before that. I am a bedroom musician. I don’t smoke and drink. I love coke, coffee, orange juice, and frisk spearmint. Japanese Food. However, I don’t know the food’s name. My bed room. And my car. In my bed. Better if warm.